The Trustees of the Flag Heritage Foundation note with sorrow the passing on November 17, 2016, of Dr. Whitney Smith, the Foundation’s founding spirit and first and only Director. It was his idea to form the Foundation. He brought it into being and arranged for its endowment, and he supported it with time, energy, ingenuity, expertise, and ideas for 36 years, from its formal establishment in 1971 until he retired as Director in 2007. The Flag Heritage Foundation was not the only institution Whitney Smith brought into being. He invented the very word vexillology to describe a study that then had no formal coherence, or even a name until he created one. 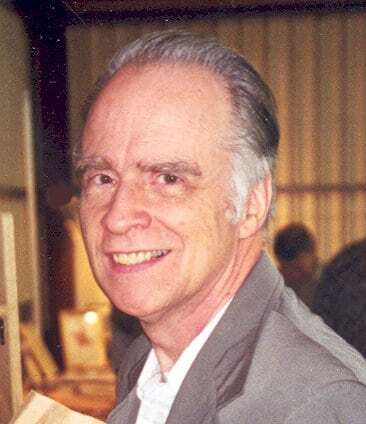 He was the co-convener of the first International Congress of Vexillology (ICV1) in 1965 and co-founder both of the North American Vexillological Association (NAVA) in 1967 and the International Federation of Vexillological Associations (FIAV) in 1969. He was the co-founder and first and only editor of Flag Bulletin, the principal scholarly journal of vexillology, and published 233 issues from 1962 through 2011 (a memorial issue No. 234 can be seen here). He published so many books and articles that there is no reliable count of them – 27 is the number usually given for his books, of which Flags Through the Ages and Around the World (1975) and The Flag Book of the United States (1976) are the best known. The Flag Research Center he founded in 1962 was in every sense the world center for flag research, and to this end Whitney Smith created in his home in Winchester, Massachusetts, the greatest library in the world on flags and flag documentation. An account by an awed visitor gives a sense of this library, which has been preserved for free use by scholars everywhere at the Briscoe Center for American History at the University of Texas in Austin. Just the finding aids for this still only partly catalogued collection take up 218 closely typed pages. We remember Whitney Smith as a warm-hearted friend and a deeply committed, generous, thoughtful, careful and passionate scholar. He took a broad view not only of the details of his subject, but of the subject as a whole, and worked tirelessly to secure a place for it among the social sciences. Although he won every honor the world of vexillology could provide, some of which indeed were named after him, he never forgot that he began his lifelong study as an inquiring child, and was determined to make vexillology accessible and inviting to everyone at every level of learning. He was that rare scholar whose love of his subject led him to produce not only books, but institutions to develop and illuminate his chosen field. He will be missed, but never forgotten.